It’s getting warmer in on the top half of the planet, and we have a deal to make your spring and summer music listening a wee bit easier. 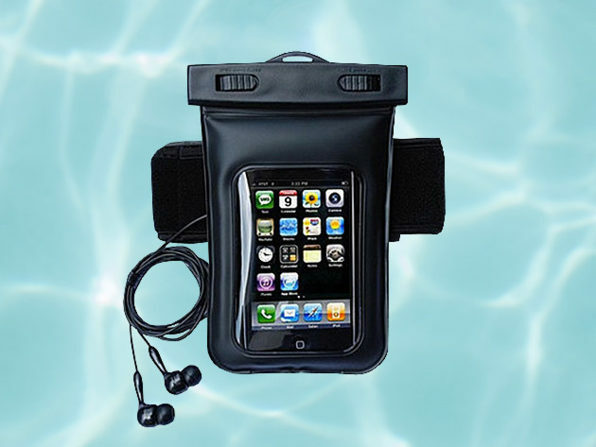 It’s for a waterproof iPhone bag (or your Android device, if that’s your thing) with both a music-out jack and included waterproof headphones. The bag has a touch-sensitive screen and is waterproof up to 60 feet deep. It’s $28.99 through us, 58% off retail.